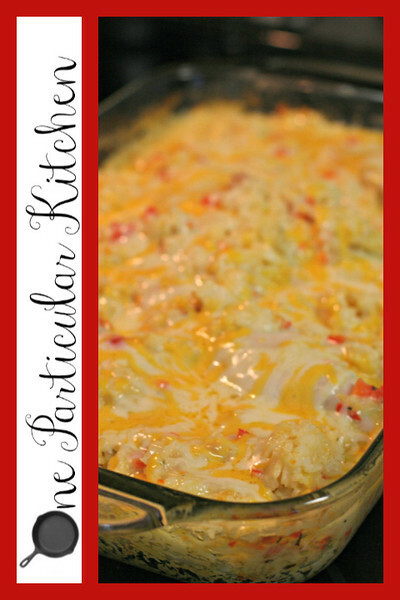 This was inspired by Vintage Victuals’ Cheddar-Bacon-Ranch Chicken & Rice Bake. The flavors are so great, and this adaptation works perfectly with pork chops too. The original recipe calls for a can condensed cream soup which I didn’t have, so I made a substitute; you can do either depending on your tastes and time, obviously. I also cut the portions in half since it was just for the Yankee and me, but it can be easily doubled. You have a couple choices when it comes to actually cooking this; either bake it all together, or pan fry the pork chops to brown them up a bit, then add them to the rice mixture for the last 15 minutes. Ours came out runnier than soup, are you positive on the amounts of liquid. We thought they would thicken up while baking possibly but it did not. Thanks. Yep, I’m sure! Did you use uncooked rice? Do you use minute rice? You think using minute rice will work as well? Mine came out like soup also and I followed the directions to a T! Abd my rice was practically raw. Are you using a 9×9 or a 9×13 pan? Mine came out soupy and way too salty.